Privacy and security are synergistic. Paying attention to browser privacy settings and features is critical for your online security. 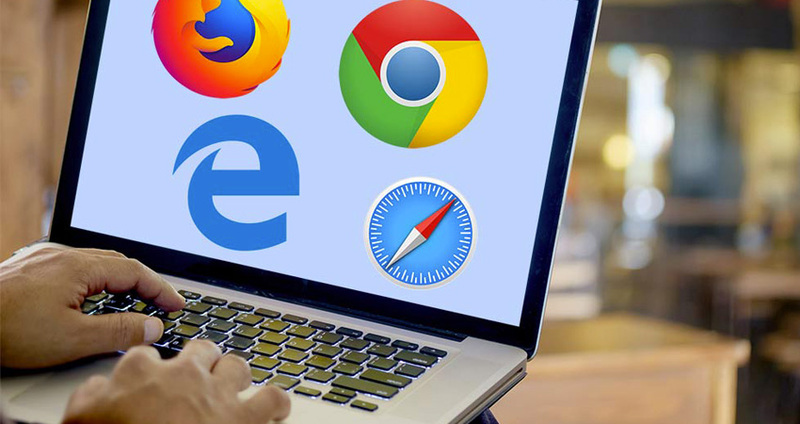 Below are some insights and tips to help you protect your privacy and security when using some of the most popular web browsers. Chrome is the most widely-used web browser, followed by Safari, Internet Explorer/Edge, and Firefox. Chrome includes a built-in filter that blocks inappropriate or malicious ads from loading. However, Google’s business model is based on selling ads. It may, at times, run counter to the company’s interests to enhance Chrome’s privacy features to block more ads. Both Chrome and Firefox offer another security option called sandboxing. Sandboxing isolates browser processes to prevent harmful code from infecting other parts of the computer. Watch this video on YouTube for a simple explanation of sandboxing, which is built into Chrome. The latest release of Firefox, called Quantum, allows it to run as fast as Chrome. The Quantum version also adds new privacy tools such as tracking protection, which blocks online trackers from collecting your browser data across multiple websites. Firefox also offers an extension called Facebook Container that makes it harder for Facebook to monitor your activities across the Web. Normally, Facebook tracks your browsing activities outside its app, or site, by using trackers like web cookies planted on other websites. Firefox Focus is available for both Android and iOS devices. It’s a free, security-focused browser that blocks most types of web trackers and purges your browsing history when you close out of a page. Ghostery is another mobile browser for both Android and iOS that maintains online privacy and anonymity. It gives users a list of trackers to enable, or disable, for whatever site you’re visiting. Only available for Android, the Lightning Browser features an ad blocker and compatibility with Orbot as a Tor proxy. Review your browser’s security settings and preferences. If you do not need pop-ups, disable them. Pop-ups can be used to run malicious software on your computer or device. Delete your browser history. Set your browser to do this automatically at the end of each browsing session. Consider switching to a browser with more robust privacy options like the browsers described above. Limit your use of browser plug-ins (extensions) or delete the ones you have installed. They pose significant security vulnerabilities. To help ensure that you haven’t accessed a spoofed website that is trying to steal your login credentials, check whether the address at the top of a login screen is preceded by a lock symbol and, ideally, a location like in the TIAA example below. Avoid sites that have no lock, or display a red, open lock. When in doubt, type in a URL rather than accessing it via a link. Note that the NYU Login page URL will always start with “https://shibboleth.nyu.edu” as well as being preceded by a lock symbol. Subscribe to the NYU IT Security News and Alerts blog for updates on significant browser vulnerabilities and other important IT security alerts.